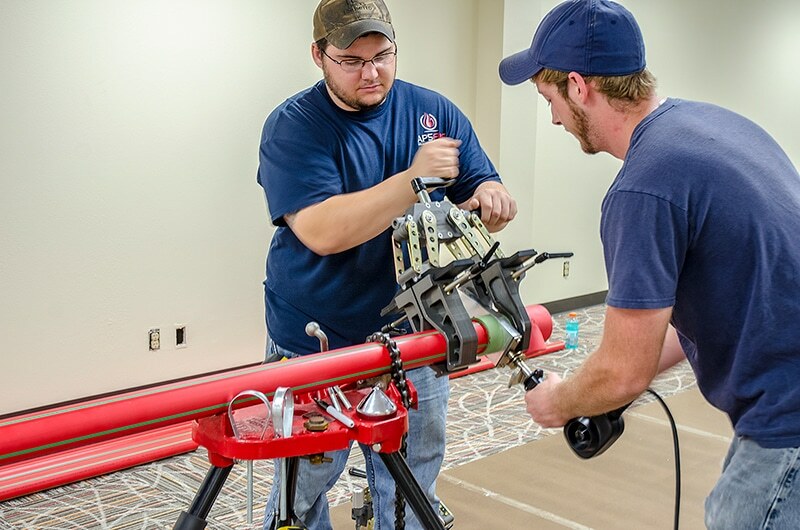 If you’re searching for a fire sprinkler pipe with virtually leak-free connections and long-term corrosion resistance, Aquatherm Red Pipe is the best choice for protecting property and lives. To ensure maximum performance and value in fire sprinkler applications, we have modified our patented resin to create Fusiolen PP-R FS, combining unmatched quality and simple installation with flame resistance. Like other Aquatherm systems, Red Pipe is joined using heat fusion. Combining the pipe and fittings via heat fusion ensures that the system has no weaknesses or fail points. Aquatherm Red Pipe is available on a limited application, as-approved basis in the United States. It is not available in Canada. For information about this product and potential applications of it, please contact Clifford Holmes. SDR 7.4: ½" - 4"
Fire protection systems are critical for protecting costly investments and preventing loss of life, and our systems can provide valuable peace of mind. Aquatherm Red Pipe® provided an easy solution for this manufacturing office to have trustworthy sprinklers. Aquatherm’s polypropylene-random (PP-R) pipe provided a reliable, affordable alternative to other piping materials.